Benevilla is excited to announce its first “Caregiver Connect” event of 2019 is filling up fast. This free educational and interactive event provides family caregivers with support and guidance to assist them on their caregiving journey. One of three Caregiver Connect events this year, the kickoff program will be held Wednesday, March 13th from 8:00 AM to 1:00 PM in the Conference Center at Estrella Mountain Community College in Avondale. Hurry to register as space is limited. Call 623-584-4999 to register today. There are 3 exciting and informative presentations scheduled for the event. The keynote speaker is Dr. Holly Shill, MD. 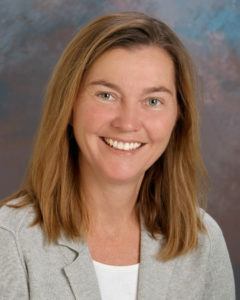 She is the Director of the Muhammad Ali Parkinson Center and Movement Disorder Program at Barrow Neurological Institute, Dignity Health and St. Joseph’s Hospital and Medical Center in Phoenix, AZ. She is board certified by the American Board of Psychiatry and Neurology and also serves as a Research Associate Professor in the Department of Neurology, University of Arizona College of Medicine-Phoenix. Dr. Shill has served as a clinical fellow at the National Institutes of Health, studying movement disorders. She has received numerous awards over the years, including a National Merit Scholarship and membership in the Alpha Omega Alpha Medical Honors Society. Dr. Shill’s research interests include risk factors for the development and progression of Parkinson’s disease, the pathogenesis of Essential Tremor and innovative treatments for both Parkinson’s and Essential Tremor. Additional expert speakers at the event include Heather Mulder, Outreach Program Manager for the Banner Alzheimer’s Institute and Brenda Holt, Senior Program Specialist with AARP. While at the Caregiver Connect event, family caregivers can get their questions answered and collect free resources from many of our community senior care providers. A Benevilla C.A.R.E.S. Resource Specialist will also be on site for anyone needing one-on-one support. At our last event, more than 45 local senior services providers were on hand to supply critical caregiver information to attendees. They also offer expert advice on a myriad of topics, including senior living options, home care choices, insurance alternatives, elder law and help with government programs. Reservations are required. Please call 623-584-4999 to reserve your space today. There will be a complimentary breakfast hosted by Birt’s Bistro. Started by the community and for the community, Benevilla is a not-for-profit human services agency dedicated to enhancing the lives of West Valley residents by providing care services for older adults, intellectually disabled adults, children and families. Services are provided through a dedicated group of staff and volunteers. For more information on services, volunteer opportunities, to donate to Benevilla or to schedule a tour call 623-584-4999 or visit www.benevilla.org.